New research has shown that being anxious doesn't always have to hurt performance. Anxiety is actually an evolutionary trait to help us deal with danger. We think of it as negative, but we can learn to channel the energy into something positive. Everyone faces anxiety from time to time. We feel nervous when we’re going to approach someone with an important question, or feel butterflies when we’re about to give a presentation. The sweaty palms and rapid heartbeat you experience are normally thought of as hindrances to your performance, but we actually developed this response on purpose to react when we were faced with danger. According to social worker and psychotherapist Amy Morin, this evolutionary trait has stuck with us from the early days of humanity, meaning our responses to everyday situations are sometimes disproportionate. For example, if you are about to approach your boss to ask for a raise, your body might start producing adrenaline which puts you on edge. 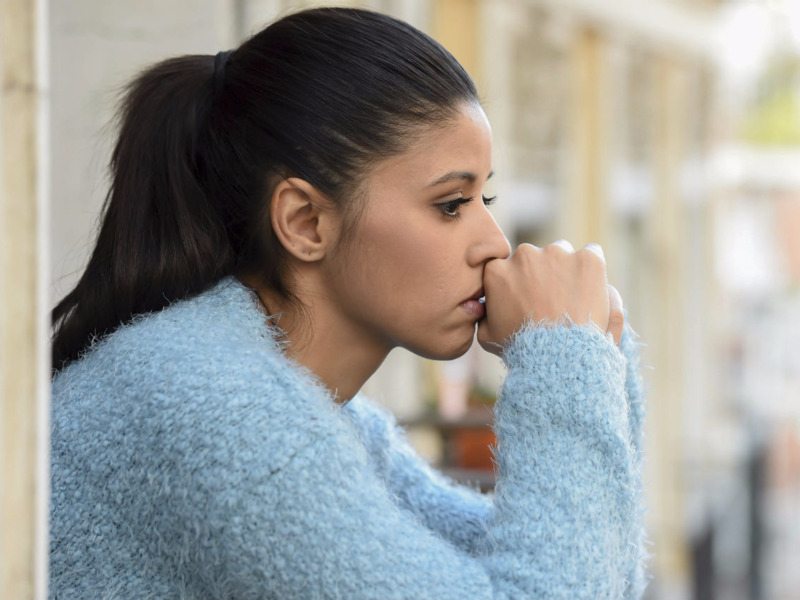 If someone develops an anxiety disorder, they feel anxious all the time, and they don’t necessarily know why, and this can take a toll on them, Morin says. Day to day anxiety doesn’t become a disorder until it starts to affect your daily functioning, such as you can’t go to work or school, or you have trouble socialising. Regular anxiety, however, can be channelled and used as a tool, Morin says. To do that, you need to start thinking of it objectively. Rather than getting into a downward spiral of feeling anxious and telling yourself you won’t do well as a result, Morin recommends you tell yourself that you are anxious, but that doesn’t mean you can’t perform well too. New research has shown that being anxious doesn’t always have to hurt performance. The study, published in the Journal of Individual Differences found that those who look at a stressful situation as a challenge can gain energy from their anxiety. So instead of dwelling on the fact you feel anxious, try and channel that energy in your body into something positive. Another tactic is to re-frame your thoughts and consider what you would say to a friend in the same situation. Morin says we tend to be a lot kinder to our friends and family than we are to ourselves, so think of what advice you would give, and how supportive you would be. You can also label your emotions. Recognise how you feel and tell yourself what emotions you are feeling, such as if you are anxious, scared, or worried. Acknowledging our feelings is a big part of overcoming them, Morin says. Finally, she adds that you should find some healthy stress relievers, whether that be exercise, talking to friends, or treating yourself to something to keep your everyday stress down.